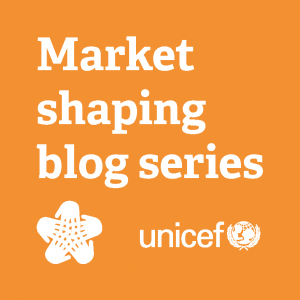 Promoting a Market-Based Sanitation: Sharing the SHAWN Project Experience in Nigeria. In Nigeria, 47 million people practice open defecation while only 35.9 percent of the population have access to improved sanitation1. The Nigerian Government has recently declared a state of emergency in the WASH sector and set up a National Technical Working Group to support implementation of the plan across the 36 states of the federation to end open defecation by 2025. 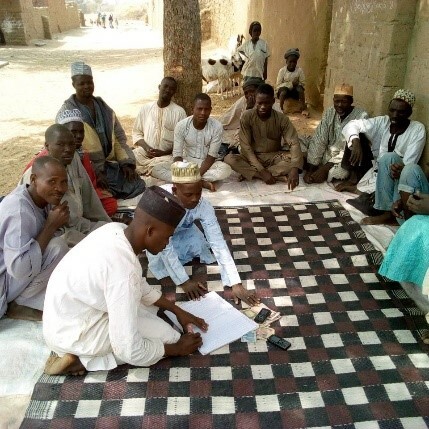 To strengthen Community Led Total Sanitation (CLTS) implementation, UNICEF launched a sanitation marketing and financing pilot project in 2016 under the DFID-funded Sanitation, Hygiene Water Supply in Nigeria (SHAWN) project with the aim to strengthen supply chains and connect entrepreneurs to communities and households. This approach has scaled to 60 Local Government Areas (LGAs) and has led to the creation of 600 Toilet Business Owners (TBOs), resulting in construction of 12,423 improved toilets. In 2013/2014, a study was carried out titled ‘Users’ Experience Survey’ to ascertain the various types of latrines that people wanted, why they wanted such latrines and how much they were ready to pay for each. Following this research, UNICEF introduced the Sanitation Marketing (SanMark) and financing interventions in 2016 under the SHAWN project. SanMark entails strengthening the sanitation supply chains and connecting entrepreneurs to communities and households desiring improved toilets. The SanMark Operations Model is shown below. 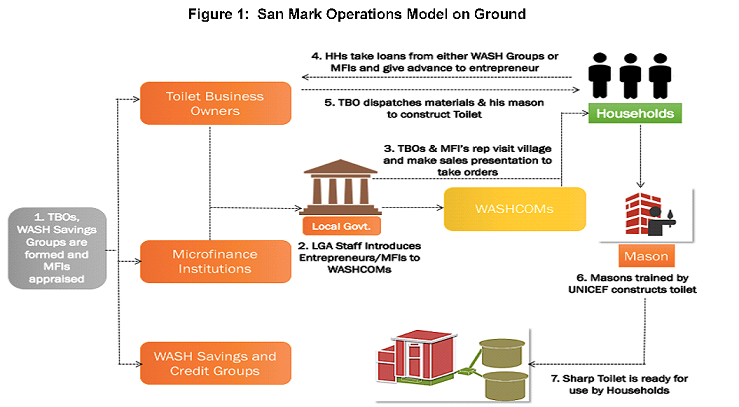 The SHAWN supply side approach builds on both marketing as well as financing interventions for a multi-pronged market-based approach to sanitation. This Sanitation Marketing approach has resulted in creation of over 600 sanitation entrepreneurs known as Toilet Business Owners (TBOs) who are small-scale construction industry players identified and trained in enterprise skills and basic business development approaches. These TBOs, as entrepreneurs, support households by offering relatively cheap prices through engagement of over 2,000 trained masons to construct latrines using the agreed designs. TBOs and masons are increasing in number as SanMark is rolled out in more localities thereby creating employment opportunities. Community Savings and Credit Groups: these groups allow householders to contribute money and give to members in turn to build latrines. Over ₦84 million ($234,000) has been granted as loans so far. Loans from Micro-Finance Institutions (MFIs): MFIs now give loans to householders to build latrines at 15 – 20 percent interest rates. A sum of ₦32 million ($90,000) has been given so far by all three MFIs operating in SHAWN states. State Sanitation Revolving Funds: Governments of three states have released funds of over $800,000 for use as revolving loans to households for latrine construction. These funds are managed by MFIs selected through competitive bidding using due diligence parameters. Trade by Barter: Households who do not have immediate access to cash give their farm produce or cattle to TBOs in exchange for latrines. This allows people from the lowest wealth quintile to access latrines without being indebted. As a result of the SHAWN project the number of improved latrines has increased in communities and in two SHAWN states four LGAs have already been certified Open Defecation Free (ODF). There are growing partnerships between communities and key private sector players; and sanitation business is growing rapidly in SHAWN communities. A large percentage of the population is willing to pay for their own toilets but only require strategic support to do so. With CLTS, those who can afford it release their funds immediately and build latrines while others take loans to purchase their dream toilets and those who have no access to loans instead trade by barter by releasing their cattle or farm produce in exchange for an improved toilet. The remaining households may not be able to afford improved toilets. The experience so far, has proved the assertion that 40 percent of the people practicing OD are below the poverty line and need to be provided with very cheap loans, or better still, targeted support either from within the community or externally. Otherwise, such people may never be able to build improved toilets. The continued success of our SanMark approach depends highly on the ability of the TBOs to foresee and “follow the money”. There is the potential for SanMark to gain a “life of its own” as more business people see the potentials. Poverty is inextricably linked to lack of access to sanitation. Future programming might benefit from supporting livelihood activities of target communities. This will offer opportunities for lifting households out of poverty, and providing them with financing to build improved toilets. - ODF Nigeria Campaign strategy reviewed to include private sector players, and investment in behavioural change campaigns, with the national ODF campaign being a good starting point. - Incorporate Sanitation Marketing and financing into the sanitation policy in Nigeria. - Establishment of new partnerships attracting low cost sanitation products. - Facilitate policy approval and implementation of the sanitation policy, while raising awareness and commitment of the political class to sanitation through advocacy; organising events to bring private sector, politicians and government together to influence, share ideas, information and experiences. - Creation of Sanitation Pool funds through the Central Bank of Nigeria to introduce hybrid loans, for economic activities and toilet construction and provision of capital support for enterprises interested in manufacturing sanitation products. - Federal Government considering creating a marching grant to support states to end open defecation. - Additional TBOs engaged to serve more communities & train more masons, which involves stronger Partnership with the Small & Medium Enterprise Development Agency of Nigeria (SMEDAN) for nationwide coverage. - Efforts on-going to integrate SanMark into CLTS triggering process with emphasis on improved toilet options to help households make the most realistic choices in moving up the sanitation ladder. - Commission a market survey to determine the critical elements required for the establishment and success of a sanitation value chain in Nigeria – an ecosystem of enterprises involved in the complete management of human faeces. The SanMark and Sanitation Financing initiative has been effective so far in helping people from the three lowest wealth quintiles access improved sanitation and stop open defecation. The financing element has directly contributed to almost four thousand toilets for households who could not afford one-time payments, and has given hope to tens of thousands of other households who look forward to a similar opportunity. The programme is becoming a promising platform for supporting the Federal Government of Nigeria to implement their ODF Plan for the country.